Sparkle is a girls best friend. 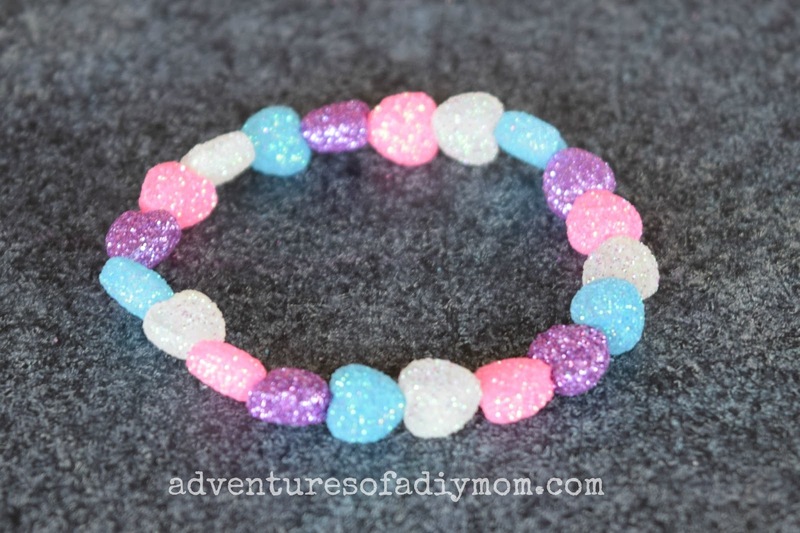 These sparkle heart bracelets are perfect for the little girls in your life. 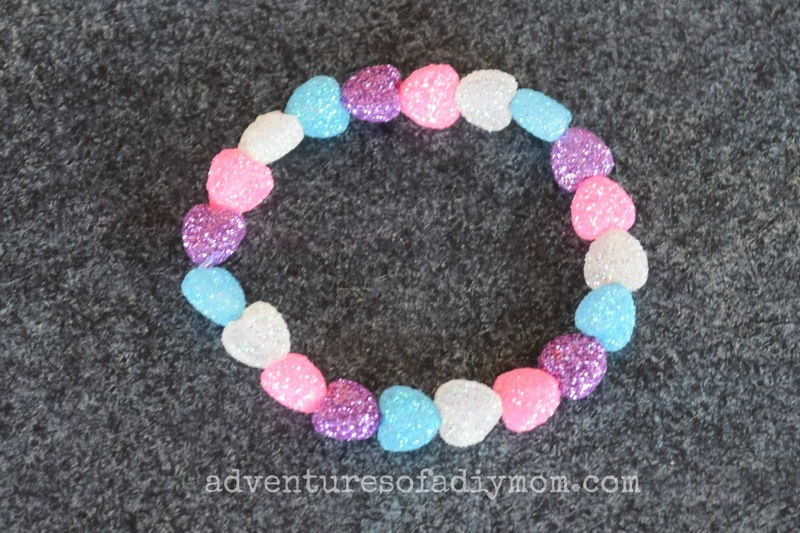 These bracelets are easy to make and festive for the Valentines season. Welcome back to Valentines Jewelry week. We started it off with my Valentines Bracelet and Earring Set. Then I showed you some fun heart bracelets and a heart necklace. 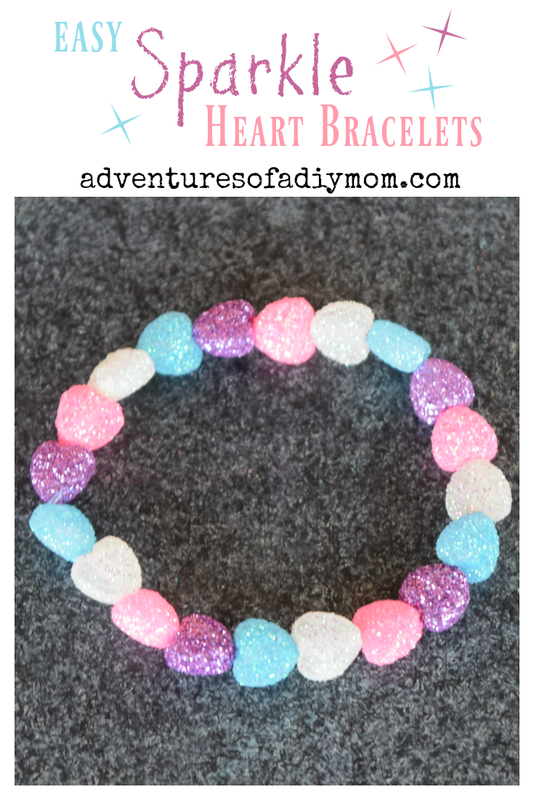 Today I'm back with some more fun heart bracelets. But this time they are made with SPARKLE heart beads. My two little girls are totally into sparkles so they will love these. They are super easy to make. I don't really have a tutorial, just string the beads onto elastic and knot the ends. Your kids can do the stringing and you can help them tie the knots. I always add a touch of glue to the knot to help it hold.